IT Service Management arrives on Azure in Australia. Born in the Cloud IT operations vendor, Symphony SUMMIT, has launched operations in Australia, partnering with Microsoft to build IT Systems Management solutions on the Microsoft Azure platform. Adopting a partner first strategy, the Silicon Valley startup provides private and public cloud based IT Operations Management solutions to enterprise and service providers, joining forces with Microsoft as part of a “comprehensive go-to-market strategy” across the region. 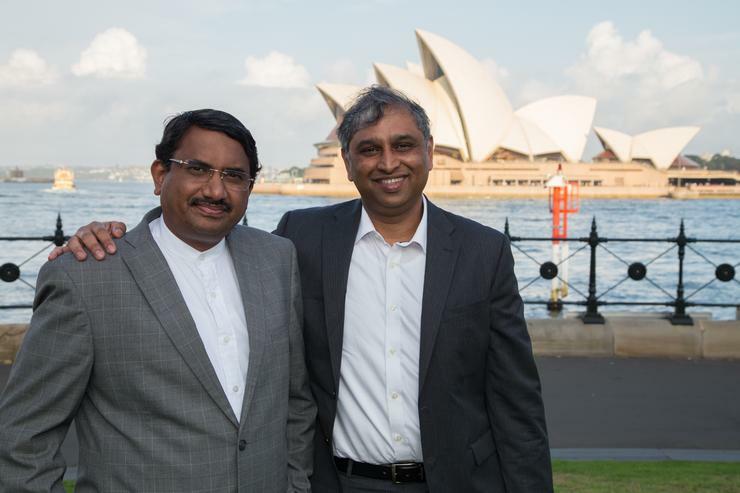 “Our priority in Australia is to engage partners operating in the ITSM market who are looking for a new proposition to take to their customers,” said Kaushik Krishnan, Regional Director, Australia. “We have a number of conversations happening at the moment and are keen to talk to partners right across Australia that are working in the IT Systems Management space. “Our commitment is to take our solutions to market with partners and we are offering partners the opportunity to provide the licensing and services to customers unlike some of our competitors who are increasingly going direct. Having recently commenced operations locally, Krishnan is joined in Australia by Senior Solutions Consultant Rick Logan, with plans in place to recruit more staff in the coming months. In entering a local IT service management market valued at around $300 million - of a $4 billion global industry - Symphony SUMMIT arrives on Australian shores armed with its flagship product SUMMIT, unifying key applications across enterprise platforms. “The solution is built to leverage Microsoft’s Azure cloud platform and comes with built-in features around analytics, mobility, gamification, automation and operational intelligence,” said Satyen Vyas, CEO, Symphony SUMMIT. Vyas said the company conducted “extensive market research” in Australia to determine there was an opportunity for an agile, born in the cloud IT Operations Management vendor to compete effectively against the more traditional vendors already at play. “We are delighted to collaborate with SUMMIT in Australia and we look forward to working together,” adds Phil Goldie, Director - Partner Business and Development, Microsoft Australia. Built entirely on Microsoft technologies, Mark Iles, Research Analyst, Tech Research Asia believes such strategic partnerships will enable Symphony SUMMIT to threaten the status quo among legacy vendors at a local level. “I think this is strategically so important,” said Iles, when speaking to ARN. “None of the other main ITSM vendors are partnered with Microsoft and with Azure seeing so much traction locally this is a great partnership. In terms of the wider ITSM industry, Iles said the market had a number of traditional incumbents including HP, CA Technologies and IBM, with ServiceNow and BMC also making waves both domestically and overseas. “More recently a few emerging vendors have appeared, including Symphony SUMMIT, with solutions born in the cloud enabling faster deployment and more cost effective proving models which is now driving the market,” Iles observed. Symphony SUMMIT has adopted a partner-first approach in Australia, in a bid to trigger a faster go-to-market strategy through the channel. Backed by Symphony Technology - with annual revenue of $US2.7 billion - Iles believes the key for any new vendor entering Australia is to have a point of differentiation, which for Symphony SUMMIT will likely be focussed around faster Return on Investment and offering greater competition in terms of pricing. Partnerning wise, Iles believes Symphony SUMMIT’s status as a born in the cloud vendor represents a new alternative and go to market approach for the channel. “The Microsoft partnership is key as is the focus on a partner-first approach which most of the large vendors have moved away from as they look to increasingly take business directly and this makes it possible to target those partners with a viable alternative,” he said. As a born in the Cloud IT operations vendor, Iles believes the key play for Symphony SUMMIT centres about translating this standing to customers by enabling almost a "one-click" to spin up a customer ready environment. “ITSMs heritage is big projects that can take up to a year and cost over a $1 million, changing this to a Cloud model for quick testing and rapid deployment makes the solution accessible to a much wider range of customers and also makes competitive switch outs easier to push,” he explained.